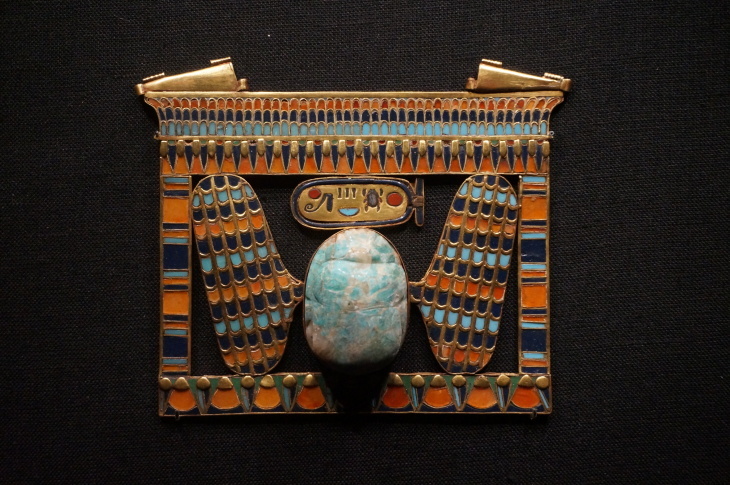 Gold inlaid pectoral with a winged scarab centerpiece.This is the first time this artifact has been out of Egypt. 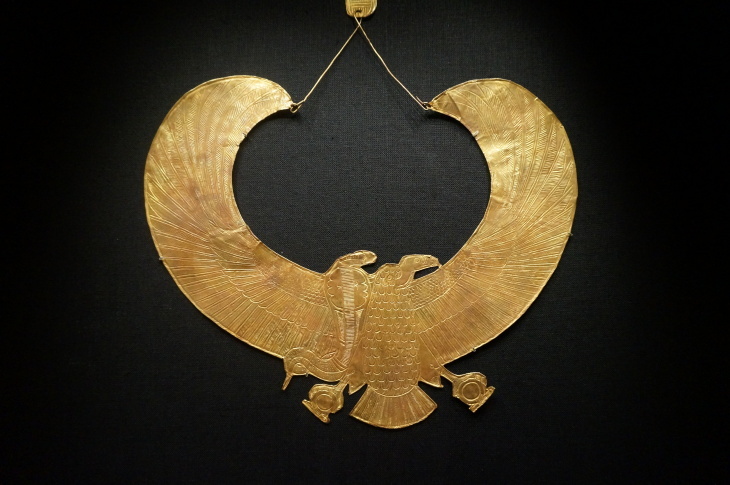 Gold wesekh collar that was found around the mummy's neck. 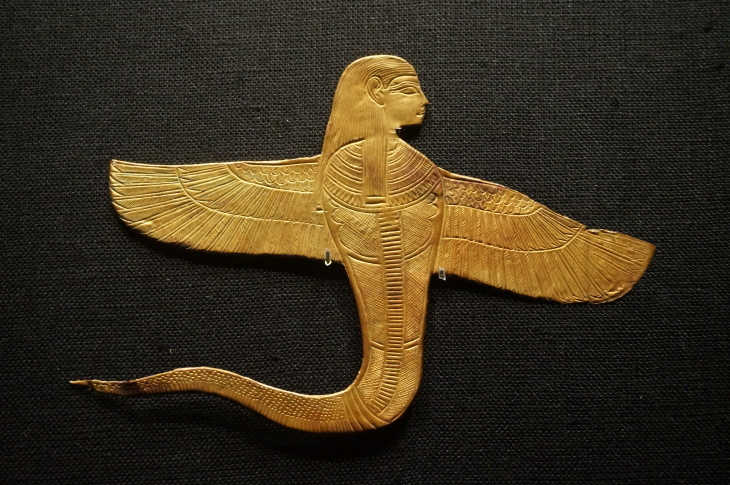 This is the first time this artifact has been out of Egypt. 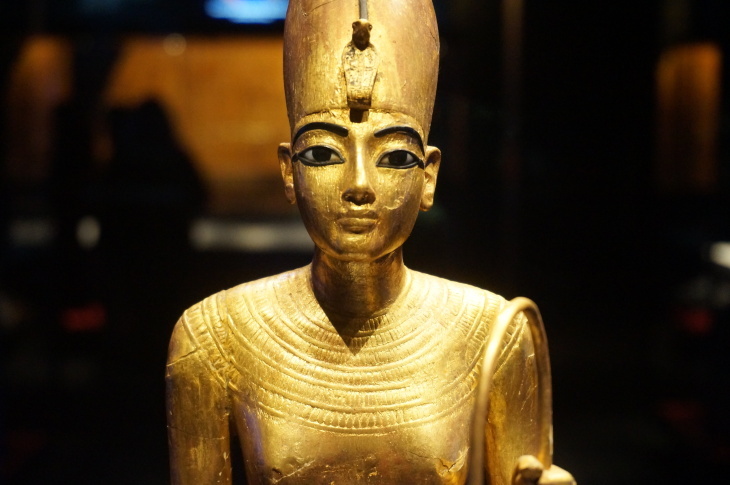 An army of workers were entombed with Tut to meet his every need in the afterlife. 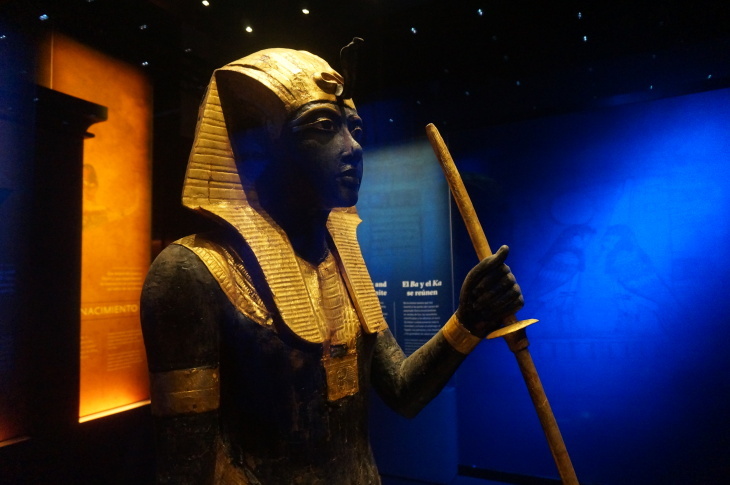 Among the artifacts from the "King Tut: Treasures of the Golden Pharaoh" exhibit at the California Science Center. 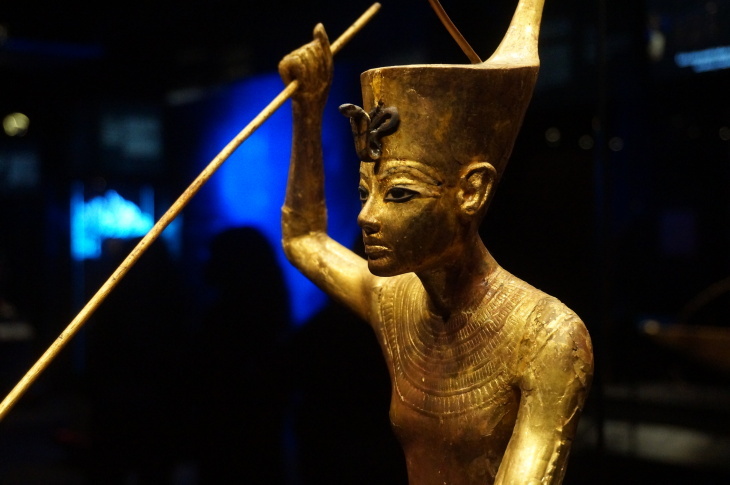 The clock has been ticking since 1922 when British archaeologist Howard Carter peered through a hole in the wall that sealed off Tutankhamun's tomb from the outside world. Air, light, breath and sweat have all since conspired to deteriorate the tomb's murals in Egypt's Valley of the Kings, where the mummy still lies and public access is limited. 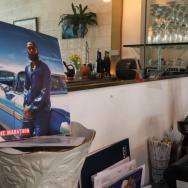 It's a different story, though, for the touring artifacts that just arrived in Los Angeles. 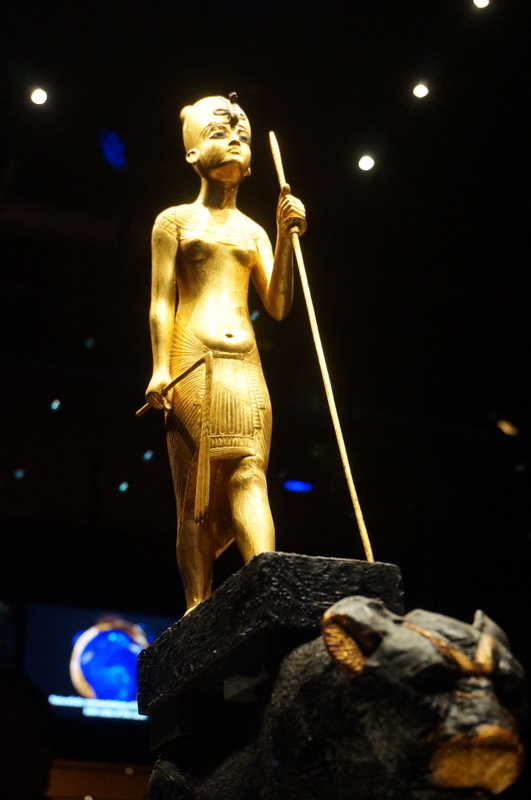 "King Tut: Treasures of the Golden Pharaoh" opens Saturday, March 24 at the California Science Center. This is one of the larger-than-life guardians that was placed outside the door of the tomb's inner chamber, where the mummy lay. 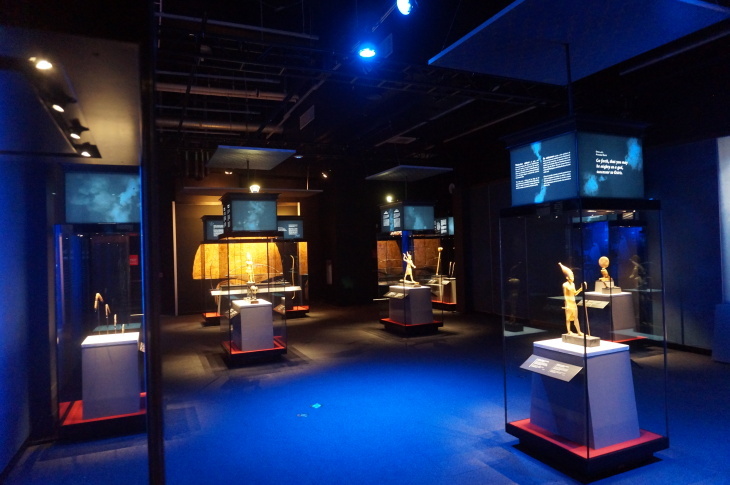 The exhibit features over 150 items including golden statues, intricate jewelry and even a delicate pair of linen gloves that the boy king may have worn before he died around age 19. 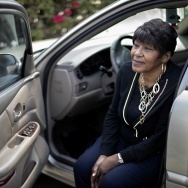 Egyptian archaeologist Dr. Zahi Hawass, who led a team that conducted a CT scan of the mummy in 2005, said great care goes into keeping these ancient treasures from being loved to death. "Conservation is the most important thing," he said. 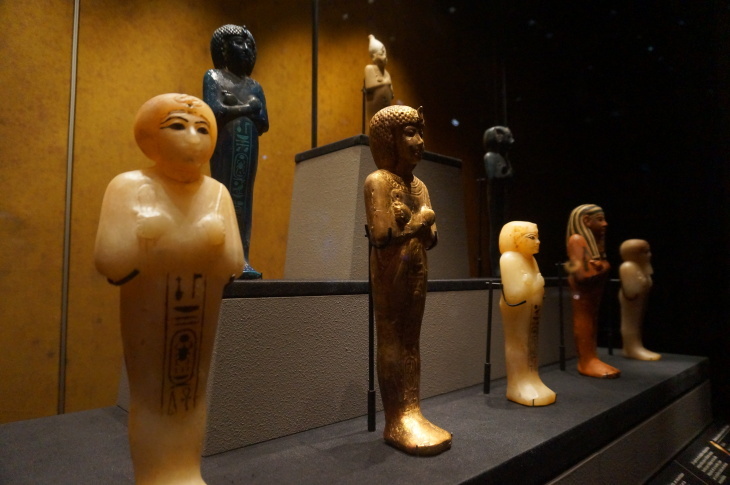 "Howard Carter, when he found the five thousand artifacts inside the tomb, it took him ten years to excavate and restore." 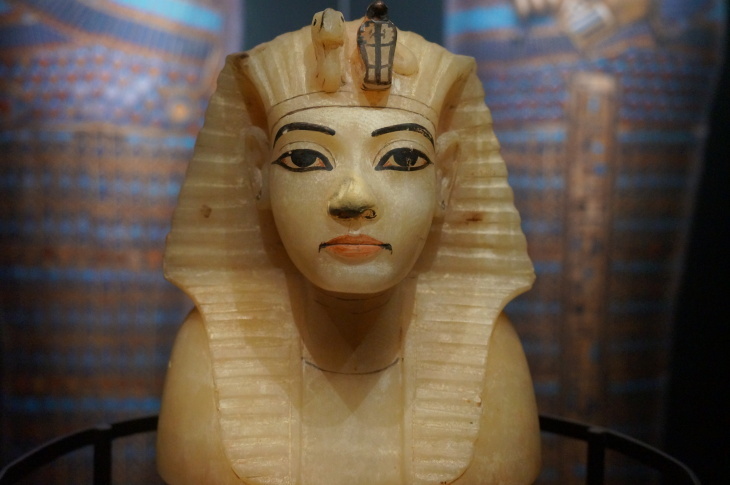 Dr. Hawass notes the materials used in conservation may be new, but the techniques haven't changed since Carter's time. Careful packing of the antiquities keeps them safe in transit and each is inspected upon arrival, then restored further if necessary. 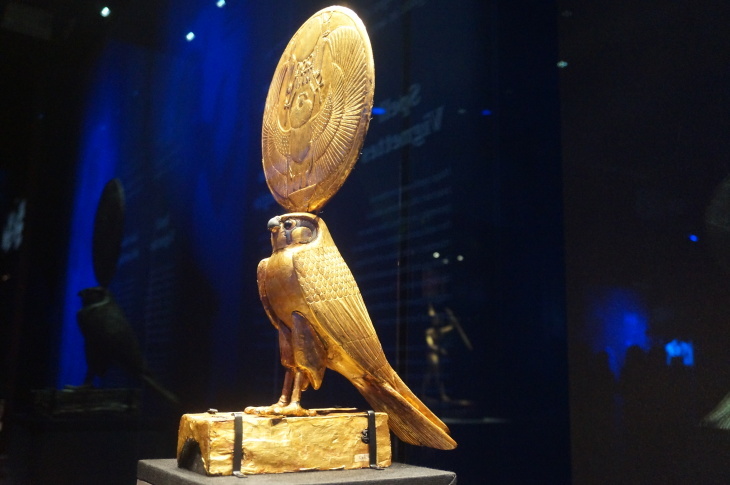 "I always say that the objects that travel from the Cairo Museum are better than the objects that are not traveling, because the object that travels, you do more conservation to it," Dr. Hawass added. "And this is why it looks brilliant." When the ticketed exhibition leaves Exposition Park in January, the treasures will journey on to Europe. 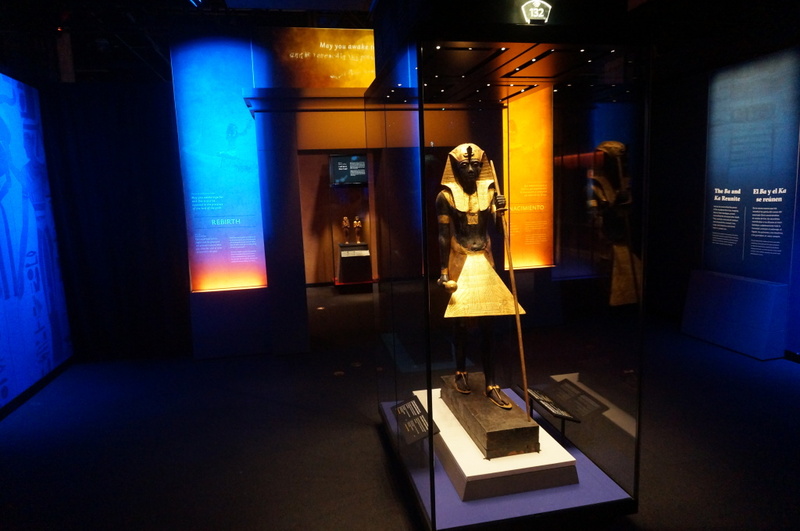 The eventual home of the entire Tut collection will be at the Grand Egypt Museum, which is under construction near the pyramids of Giza.